Eric is from Brazzaville in the Republic of Congo. 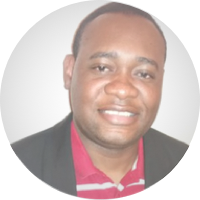 He holds a degree in Sport from the International University of Physical Education in Cuba, as well as having substantial experience of teaching French and translating French and Spanish. He hopes to finish his PHD in physical culture in Cuba.